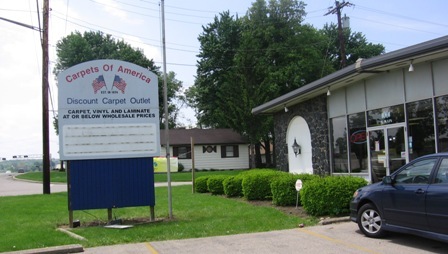 Formerly Located at 906 Lebanon Street, Monroe, Ohio 45050, Carpets of America moved to another Monroe location. The new location, formerly occupied by Floorcraft Floorcoverings, is 1001 North Main Street, across from Baker Concrete Main Street Facility. New phone number is 422-5930.